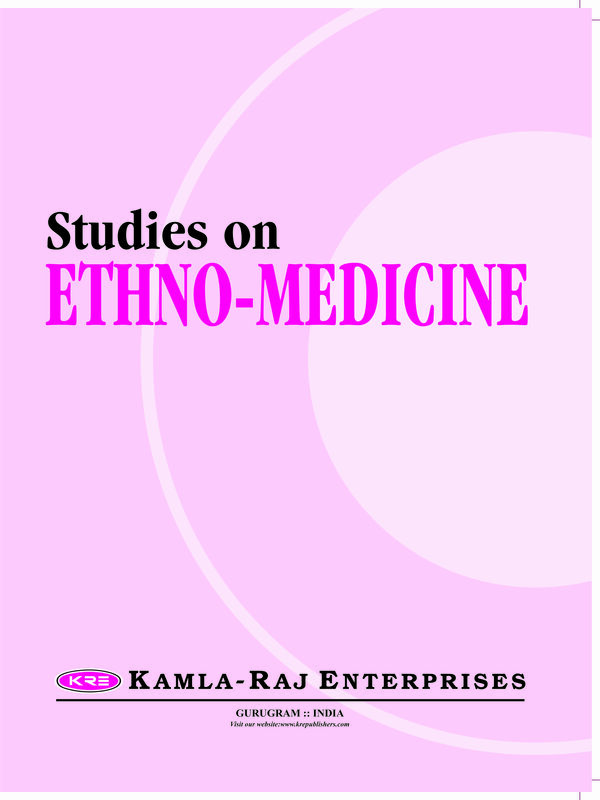 AIM: Studies on Ethno-Medicine (Ethno-Med) is a peer reviewed, internationally circulated journal. It publishes reports of original research, theoretical articles and timely reviews, and brief communications in the interdisciplinary field of Ethno-medicine. The Journal serves as a forum for physical, social and life scientists and health professionals. Especially those who share common interests in understanding Ecology, Man and Health Relationship. Reviews of books and other publications relevant to Ethno-Medicine are also published. DISCIPLINES COVERED: The Journal seeks scholarly manuscripts that address all aspects of the discipline of Ethno-Medicine. Thus, the transdisciplinary areas covered by Ethno-medicine include, but are not limited to, Physical Sciences, Anthropology, Sociology, Geography, Life Sciences, Environmental Sciences, Botany, Agriculture, Home Science, Zoology, Genetics, Biology, Medical Sciences, Public Health, Demography, Epidemiology along with their relationship interfaces. 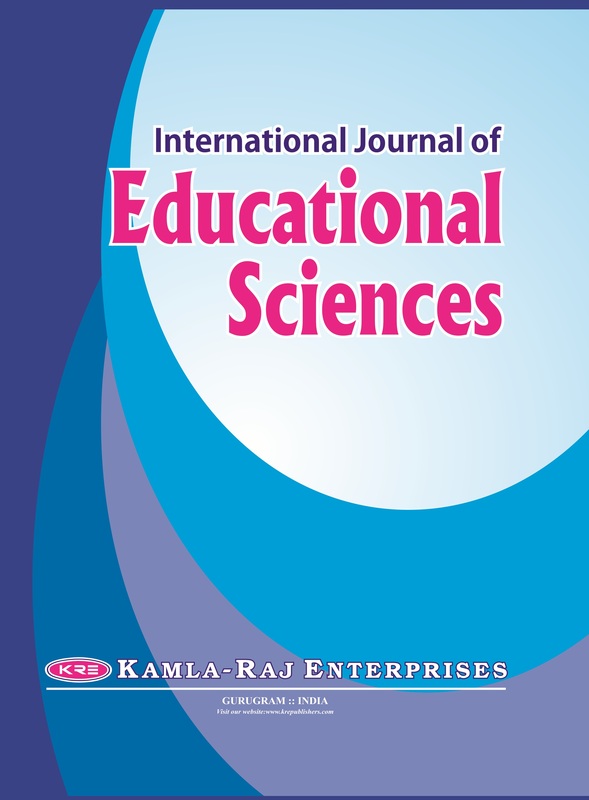 The Journal publishes basic, applied and methodologically oriented research from all areas. 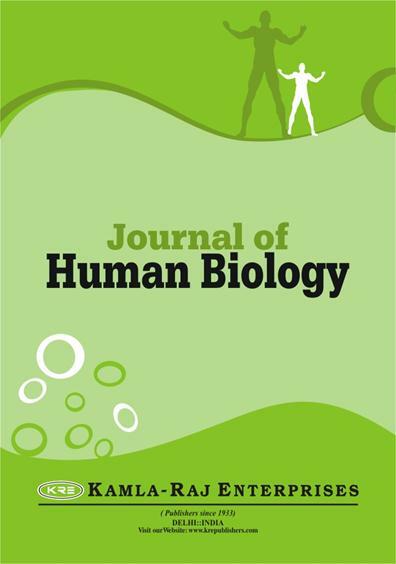 The Journal is committed to prompt review, and priority publication is given to manuscripts with novel or timely findings, and to manuscript of unusual interest. The manuscripts are categorised under three types - Regular articles, Short Communications and Reviews. The researchers are invited to submit original papers in English (papers published elsewhere or under consideration elsewhere shall not be submitted). FREQUENCY: There shall be three issues, one volume per year (April, August & December). MANUSCRIPT: Manuscript along with disk should be submitted to the Administrative Editor, Administrative Editor, B-2 (Ground Floor), South City II, Gurgaon 122 018, Haryana, India or e-mail to: kre@airtelmail.in. Materials submitted for publication are to be prepared in accordance with The Guide for Contributors, which is published APRIL issue of the journal (or visit our website: www.krepublishers.com). Manuscripts which do not fully confirm to Journal style will be returned to the Authors. CANCELLATION: SSubscription cancellations will not be accepted after the first issue has been mailed. AIM: The Journal 'Studies on Ethno-Medicine' (Ethno-Med) is designed for prompt publication of original and significant articles on all aspects of Ethno-Medicine. EDITORIAL POLICY: It contains original papers on current research and practical programmes, short notes, news items, book reviews, reports of meetings and professional announcements. 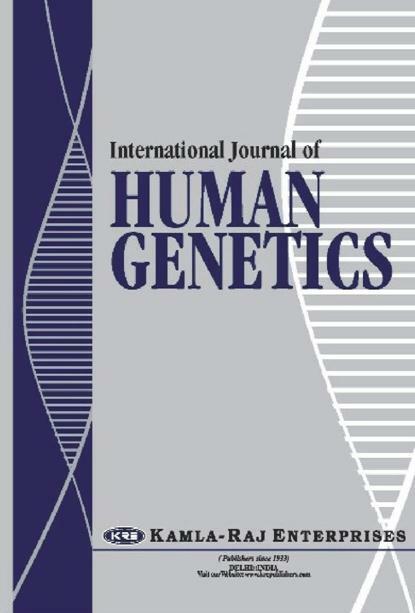 Constructive critiques and discussions of published papers and letters which are of relevance and of interest to the readership are published at the discretion of the Editor. Studies on Ethno-Medicine is published in English; spelling and usage conforms to the Oxford English Dictionary; for consistency and simplicity in style because for many subscribers English is a second language. Place names should be spelled in the form officially used in the country under discussion; where this differs from the commonly-known name of the English-language name, the other name should be written in parentheses. For practical purposes accents may be omitted on non-English names. FREQUENCY: There shall be three issues, one volume per year. SUBMISSION OF MANUSCRIPT: For the initial submission of manuscripts for consideration, submit a hardcopy with disk to the Administrative Editor, B-2 (Ground Floor), South City II, Gurgaon 122 018, Haryana, India or e-mail to: kre@airtelmail.in. Prepare the manuscript as per style of the Journal. Manuscripts, which do not fully confirm to Journal style, will be returned to the Authors. Review of Paper:The contributors may provide the names of at least three Referees in the field of specialisation as the subject of the paper demands to whom we may request for review of the paper (Please provide separate List of Referees for each paper). The Referees should be other than the Members of Editorial Board of the Journal, who are known to you and aware of the research activities of your Department/Institute, but are not from yours' Department/Institute (Please provide their postal & e-mail address and field of specialisation). The possible exceptions are in the case of occasional invited papers and editorials, or where a partial or entire volume is devoted to a special theme. Processing Fee:Pay the processing fee of the paper of the paper and for Black and White and Coloured Photographs, if any in the paper (Not for Line Drawings/Graphs in Black and White only), which is mandatory. Please check that the payment of Processing Fee (PF) is not a guarantee that the paper may be accepted as it is. Guite N, Acharya S 2006. Indigenous Medicinal Substances and Health Care: A Study among Paite Tribe of Manipur, India. Stud Tribes Tribals, 4(2): 99-104. Bhasin Veena 2005. Medical Anthropology: Tribals of Rajasthan . Delhi: Kamla-Raj Enterprises. WHO 2004.An Atlas of Heart Disease and Stroke. Report Series No 43. Geneva: WHO. Mojoyinola JK 1998. Psychosocial Factors as Correlates of Rate of Patients’ Recovery from Physical Illness in Selected Stated-Owned Hospitals in Oyo State. Ph.D. Thesis (unpublished), Ibadan: University of Ibadan. Oboh VU, Tsue PT 2010. Awareness of HIV/AIDS Pandemic among Rural Farmers in Vandeikya Local Government Area of Benue State, Nigeria. Studies on Ethno-Medicine, (in press). Official Home Page of the National Bureau of Statistics, 2007. Summary of 2006 Census. From http://www.nigerianstat.gov.ng/Connections/Pop2006.pdf- (Retrieved on October 21, 2008). · Name, Address, Telephone Number, Fax Number, and E-mail Address of the Person to whom all the correspondence is to be addressed. Key words should be included, should not repeat terms used in the article title, and should not exceed 80 characters and spaces. The abstract should consist of 250 words or less. The abstract should be written in complete sentences and should succinctly state the objectives, the experimental design of the paper, and the principal observations and conclusions; it should be intelligible without reference to the rest of the paper. · Indent the first line of every paragraph. · Do not divide words at the ends of lines; if they are unfamiliar to the printer, they may be incorrectly hyphenated. · Corrections to the manuscript should be typed or printed legibly in ink. · Do not begin sentences with abbreviations. · The word ‘Figure” is not abbreviated in the text, except when it appears in parentheses: (Fig. 2) (Figs. 4-6). · The spelling of nontechnical terms should be that recommended in the current Webster’s International Dictionary. · Use italic font for text that is to be italicized. If italic font is not available, use normal font and underline text. The acknowledgement should consist of 150 words or less. The acknowledgement should be written in complete sentences. Footnotes to a table should be typed directly beneath the table and numbered with superscripts (1, 2, 3, etc.). They should not be numbered in sequence with the footnotes in the text. Also, if superscript numbers could be mistaken for exponents, substitute superscript a, b, c, etc. Kochhar Anita, Sharma Neha, Sachdeva Rajbir 2009a. Effect of Supplementation of Tulsi (Ocimum sanctum) and Neem (Azadirachta indica) Leaf Powder on Diabetic Symptoms, Anthropometric Parameters and Blood Pressure of Non Insulin Dependent Male Diabetics. Studies on Ethno-Medicine, 3(1): 5-9. Kochhar Anita, Gulati Kanchandeep, Sachdeva Rajbir 2009b. Impact of Instant Wheat Meal Supplementation and Nutrition Counselling on Anthropometry and Blood Pressure of Non Insulin Dependent Diabetics. Studies on Ethno-Medicine, 3(1): 69-74. Kwaramba P 1998. The socioeconomic impact of HIV/AIDS on communal agricultural systems in Zimbabwe. Working paper No. 19, Economy Advisory Project, Harare: Friedrich-Ebert-Stiftung. Mojoyinola JK 1998. Psychosocial Factors as Correlates of Rate of Patients’ Recovery from Physical Illness in Selected Stated-Owned Hospitals in Oyo State. Ph.D. Thesis, Unpublished. Ibadan: University of Ibadan. Oboh VU, Tsue PT 2010. Awareness of HIV/AIDS Pandemic among Rural Farmers in Vandeikya Local Government Area of Benue State, Nigeria. Studies on Ethno-Medicine (in press). Opaneye AA 1999. The Socio – Economic Impact of Sexual Transmitted Infections and HIV/AIDS in Developing Countries. Contemporary Issues in Reproductive Health in Nigeria Occasional Working Papers Series. Benin City: Woman Health and Action Research Centre (WHARC). All tables must be cited in the text. They should be numbered consecutively with Arabic numerals. Tables should be paginated and page numbers should follow consecutively from the last page of the References section. If a Table continues over a page, note at the bottom of the page, e.g., “Table 2 continued on page x”; at the top of page x, note “Table 2 continued from page 1.” Since tabular material is expensive to reproduce, it should be simple and uncomplicated, with as few vertical and horizontal rules as possible. Type double spaced. Indicate in the margin where the tables are to appear in the text. Table titles should be complete but brief. Information other than that defining the data should be presented in footnotes, not in the table heading. Please consult a current issue of our journal for table heading format. Fig. 1. . . , Fig. 2... , and should follow the sequence of reference in the text. Type double spaced. Abbreviations for all figures should be listed alphabetically and placed before the first figure mentioning them: Whenever possible, figures should be integrated into the text. Reference to relevant text pages can often reduce the length of legends and avoid redundancy. Illustrations: Reproduction of illustrations is costly. Authors should limit the number of figures to that which adequately presents the findings. To achieve greatest fidelity and rendition of detail, it is preferable that the printer work directly from original drawings or high-quality photographic prints (but not photocopies made on an office duplicating machine). All illustrations must be submitted in complete and finished form with adequate labeling. To achieve optimum halftone quality, photographic prints submitted for reproduction must be of adequate contrast and if multiple prints are included in a single figure, they should be of uniform tone. Black-and-White Prints: Prints should be on white, nonmatte paper. Colour Illustrations: These can be made either from good-quality transparencies or from colour prints. Do not use silk finish or matte surface papers for colour prints. Authors are encouraged to submit colour illustrations that highlight the text and convey essential scientific information. For best reproduction, bright, clear colours should be used. Dark colours against a dark background do not reproduce well; please place your colour images against a white background wherever possible. For all the Black and White Photographs and Colour Figures authors are requested to pay the cost of reproducing them in print. · Illustrations cannot be reduced to less than 20% of their submitted size. · Submitted line drawings cannot exceed 5 x 7½" (12x18 cm)/3½ x 6½" (8 x 16 cm). · Lettering and labels must be readable after reduction. When reduced the maximum height of a capital letter should not be less than 2.5 mm for photomicrograph and 1 mm for a graph or chart. · When printed, an individual figure or group of figures should not exceed the dimensions of 5” (12 cm) wide by 7½” (18cm) long, or 2.5” (6 cm) wide by 7½” (18 cm) long in the case of a single-column placement. Whereas for the book size (5½ x 9" - 14½ x 22 cm), it is 3½" (8 cm) wide by 6½" (16 cm) long for page size. As far as possible, the publisher will adhere to the author’s suggested reduction. However, discretionary adjustments may have to be made, and the scale of illustrated objects should be indicated in the figure, not in the caption. Line Drawings: Figures should be drawn with black ink on medium-weight white paper or lightweight artboard. · The reverse side of each illustration should indicate: Author’s Name; Number, Top Side of Illustration; Reduction Requested: “Review Copy” on those copies intended only for reviewers. · Do not fasten illustrations with paper clips, staples, etc., since they will mark the surface of the Illustrations. · Illustrations should be shipped flat and protected by heavy cardboard. Lettering and Labels: Illustrations should be lettered and numbered with printed paste-on or transfer labels. ·Typewriter and Dot-matrix fonts are in general not acceptable as labels. · Labels should be large enough to allow for suitable reduction and sturdy enough to withstand mailing and handling in the production process. · For protection, it is recommended that labeling be sprayed with clear adhesive to prevent it from becoming scratched or being torn off. · Labeling should be done directly on the drawing or photographic print, never on an overlay. · All labeling should be placed at least 1/8” (3 mm) from the edges of the illustrations. Numbering: Figures, including charts and graphs, should be numbered consecutively. Length: km (kilometer); m (meter); cm (centimeter); mm (millimeter); μm (micrometer) (micron); nm (nanometer); pm (picometer); Å (Ångstrom unit) (10Å=1nm). Area: km2 (square kilometer); m2 (square meter), mm2 (square centimeter); nm2 (square millimeter); μm2 (square micrometer); nm2 (square nanometer); km3 (cubic kilometer); m3 (cubic meter); cm3 (cubic centimeter); mm3 (cubic millimeter); μm3 (cubic micrometer); nm3 (cubic nanometer). Volume: kl (kiloliter); liter (always spell out); ml (milliliter); μl (microliter); nl (nanoliter); pl (picoliter). Each paper is screened (not reviewed) by the Member of the Editorial Board to check its suitability for favour of publication in the Peer-reviewed Scientific and Research international journal. If it is observed that it can be considered for publication than the Corresponding Author is asked to complete the initial formalities i. e., List of Referees to review the paper and payment of processing fee of the paper. The contributor may send the names of at least three Referees (Present Status Senior Reader -Associate Professor/Professor or equivalent) in the field of specialisation as the subject of the paper demands, who may be requested for review of the paper (Separate List of different Referees for each paper). The Referees should be other than the Members of Editorial Board of the Journal, who are known to you and aware of the research activities of your Department/Institute, but are not from yours' Department/Institute (Provide their postal & e-mail address and field of specialisation). After receiving the list of Referees and payment, the paper will be processed to submit it for review to the Referees. After final acceptance, the disk along with the final and exactly matching printed versions with the underlining clearly marked should be submitted or e-mail the text to kre@airtelmail.in. Acceptance of paper will be acknowledged via e-mail. Authors must accept full responsibility for the content of their articles. The Members of the Editorial Board and the Publisher of the journal are not responsible for the statements and opinions expressed by the authors in their articles/write-up published in the journal. It is also for the authors to seek the permission whose copyrighted material they may use in preparation of their manuscript. While submitting the paper the author (s) must give a declaration that “the article has not been published or sent for publication elsewhere”. 1. Technical Notes: These are very short, Methodological Articles. 2. Brief Communication: It reports the outcome of a very small, problem-based study Papers submitted as a Technical Note or Brief Communication should not ordinarily exceed 8 double spaced pages, including the Cover Page and References cited section. Tables, Figures, and References cited should be minimized. The editor and publisher reserve the right to return to the author for revision manuscripts and illustrations that are not in proper finished form. The Publisher reserves copyright of the article published in the journal. Proof: A single set of page and illustration proofs will be sent to the corresponding author for correction of typographical errors only; alterations other than correction of printer errors will be charged to the author. All corrections should be marked clearly, directly on page proofs. The order, along with payment, for reprints etc. should be sent with the corrected proofs. Reprints: Reprints of research articles and publications in Notes and Comments can be purchased at prices quoted on the reprint order form. Reprint orders should be returned with the proofs. No free reprints are supplied, but any number in excess of 100, with or without covers may be purchased. It is important to order initially sufficient quantity of reprints, since the price is substantially higher if they are ordered after the paper has been published. Reprints of announcements and book reviews are also available. Software and Format: Microsoft Word 6.0 is preferred, although manuscripts prepared with any other microcomputer word processor are acceptable. Refrain from complex formatting; the Publisher will style your manuscript according to the Journal design specifications. Do not use desktop publishing software such as Adobe PageMaker. If you prepared your manuscript with one of these programs, export the text to a word processing format. Please make sure your word processing program’s “fast save” feature turned off. Please do not deliver files that contain hidden text: for example, do not use your word processor’s automated features to create footnote or references. File Names: Submit the text and tables of each manuscript as a single file. Name each file with your last name. Labels: Label all disks with your name, the file name, and the word processing program and version used. Illustrations: All print reproduction requires files for full colour images to be in a CMYK colour space. If possible, ICC or ColorSync profiles of your output device should accompany all digital image submissions. Check the final copy of your paper carefully, as any spelling mistakes and errors will be faithfully translated into typeset version. In case of mismatch between disk and hardcopy, the hardcopy will be taken as definitive version. To avoid loss or damage in transit ensure that the disk is adequately protected and always keep a copy of the data on your computer and/or backup disk. KRE does not intend to return the disk to the originator.